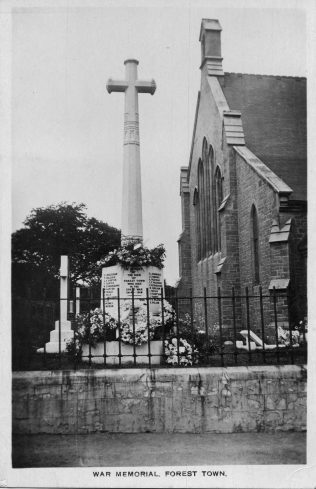 The Cenotaph/ War Memorial at St Alban’s Church Forest Town stands in the churchyard to left of the gates leading to main door into the church. 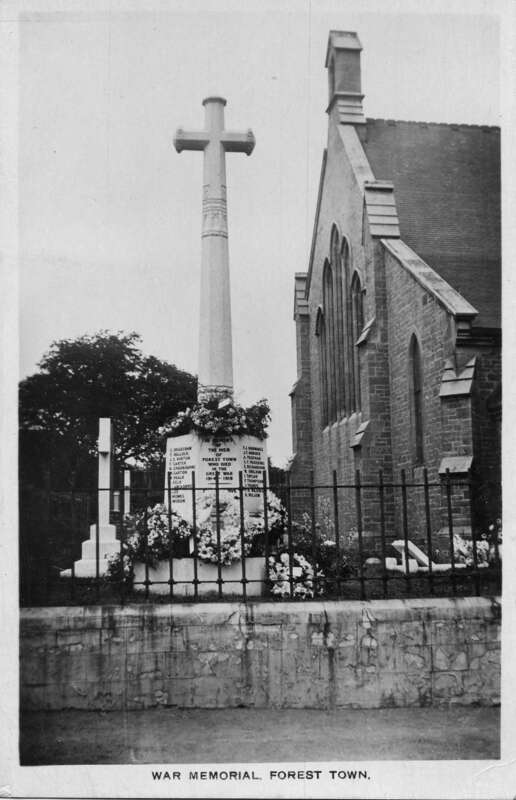 The photograph was possibly taken just after it was unveiled September 1921 listing the names of local men who died in the Great War. 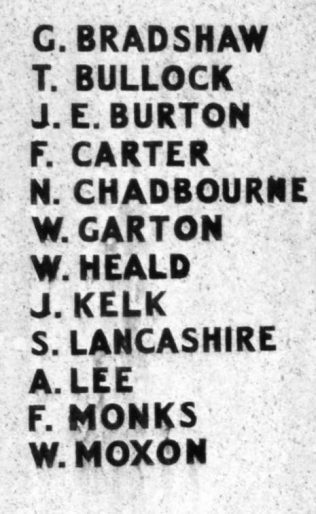 Further names were added after WW2. Two plaques inside the church list the names for WW1 and WW2. In all cases only the initial and surname is given, which as the years have rolled on and families have moved away from the village also local memories have faded it does leaves us wondering about the person behind each of the names. Where did they live and work prior to enlisting, what regiment etc were they in, who were their families etc. etc.? With the centenary of the start of the Great War now approaching I am trying to find more about the people named on our cenotaph and memorial plaque. 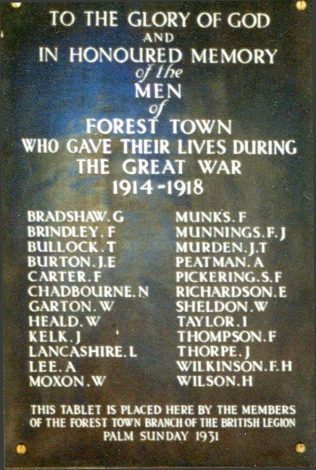 The plaque which was placed in the church in 1931 has one extra name F Brindley to the names carved on the cenotaph. While I do have brief information on some of the people some remain a mystery. 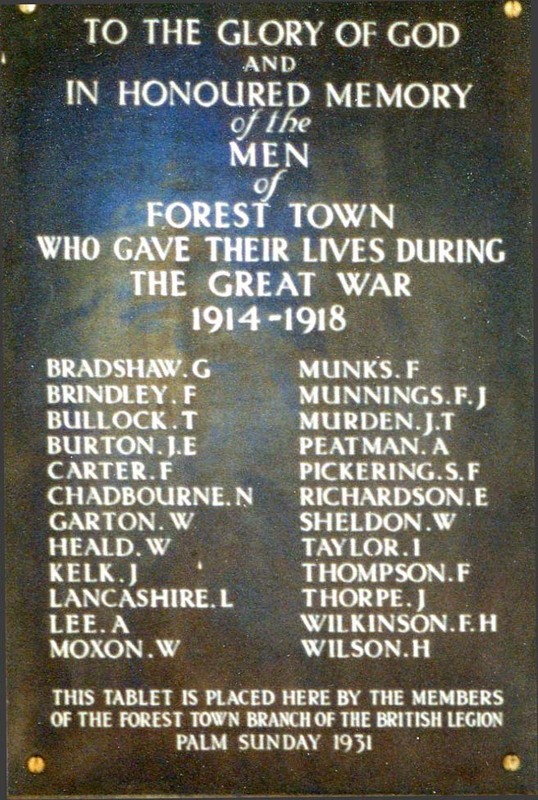 I suspect some worked at Mansfield Colliery but did not live in the village of Forest Town. It is unknown who and how it was decided on the names to be recorded – no doubt there was a Committee! 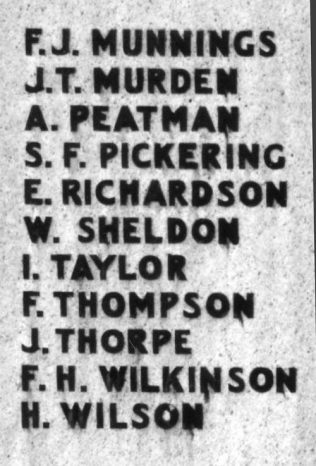 If you can add information to any of the names, please do add a comment to this page.